Disney’s Tangled Before Ever After comes out on DVD today. I am guessing most of you have seen Tangled, Disney’s take on the Rapunzel story. It shouldn’t surprise any of my regular readers to know that my long hair obsessed kiddos enjoyed the original film. I liked it too. 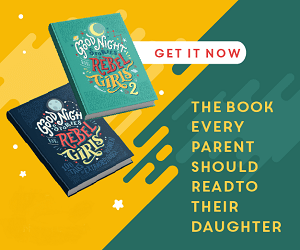 Rapunzel holds her own in a fight, wields a mean frying pan, and does as much saving as she herself is saved. She also yearns to explore the world beyond her door. And, well, how could I not love all that hair (which she uses in such clever ways). Tangled Before Ever After is set six months after the original film. It’s the story of what happened before Rapunzel and Eugene tie the knot, and settle into their own happily ever after. Again I love that Rapunzel is motivated by her need to explore and see the world. (Heck, if I was locked up in a tower for 18 years I’d be keen on getting out and living it up a little too.) And, #NoSpoilers, but I will say that Rapunzel regains her magical hair through supernatural means. If you’ve seen the adorable Disney Short Tangled Ever After you know that 1) our heroes do eventually end up getting married and 2)Rapunzel has short hair during the ceremony. Which certainly makes you wonder how they will eventually tie things up. We don’t currently have cable at our place, but if we did I would definitely be tuning into the Disney Channel for Tangled: The Series. Instead, for now, I’ll settle for Tangled Before Ever After on DVD. After all those years stuck in a tower, everyone’s favourite “barefoot princess” (Mandy Moore) yearns to make up for lost time. With the help of her true love Eugene (Zachary Levi), pals Pascal and Maximus and daring new friend Cassandra, Rapunzel postpones her wedding and royal duties to defy danger and boldly explore life beyond Corona’s walls. Sparkling with fun, adventure and music from the legendary Alan Menken, Tangled Before Ever After is a magical movie event!! 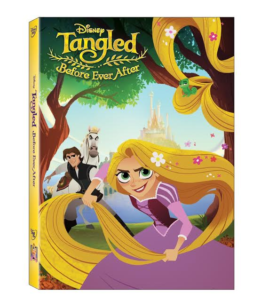 a Tangled Before Ever After DVD. Disclosure: Disney is providing the DVD for this giveaway, and has given me a copy as well. Also, this post contains affiliate links. If you use one of those links to make a purchase I will get a small commission at no additional cost to you. As always my words and opinions are all my own. My daughter is Rapunzel obsessed! I would love to win this for her! My daughters LOVE Tangled, they want to watch it all the time! We also don’t do haircuts in this family since they watched it for the first time, my 5 year old’s hair is down to her bum now! My daughter is obsessed with Tangled! She loves it! One of her favourite Disney princesses!